This is one cute neighborhood off McMullen Booth Road in Palm Harbor. It is hard to resist these modest Florida homes, especially if you are on a budget. This is the place to save money! To find Countryside Palms take Curlew Rd, north on Countryside Blvd past Lake St. George to the entrance. 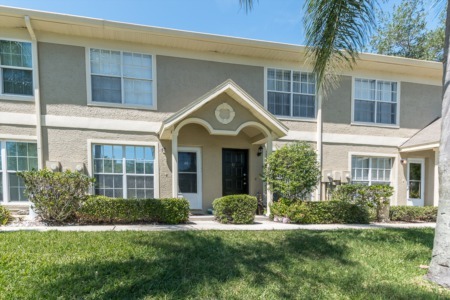 The immaculate homes inside this neighborhood were built in the early 1990's and feature wood cabinetry, tile flooring, soaring ceilings with plant shelving, and lots of windows to let in natural light. Many have a screened lanai overlooking the pond, 2 car garage, and each are within walking distance to the community pool. They range in size from 1200 to 1600 sq ft. and priced affordably. With low home owner association fees and this great location, only buyers who want the best should make an appointment to view these great homes! We are ready to show you them, give us a call! 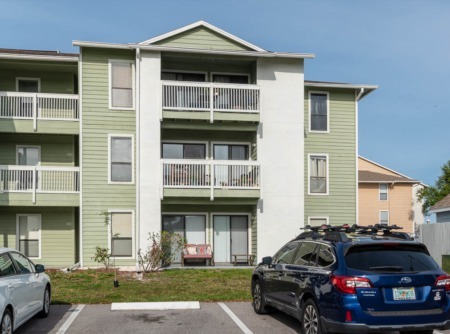 Don't miss out on your chance to have that "Palm Harbor" address for a fraction of the cost. Selling your home in Countryside Palms? Countryside Palms is a subdivision we are very familiar with. Having sold numerous properties in Palm Harbor over the years, we are well suited to list your home and market it properly. Our office consists of experienced hard working sales agents and we all work together to give your home as much attention as possible within the local area.